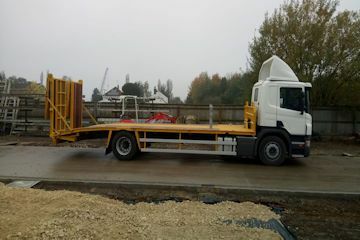 Plant lorry with cheesewedge body and hiab crane can be hired with driver for Container/cabin moves,forklift,plant and machinery moves Fully insured Can carry up to 12tons and carry 20ft containers. Call or email for details. 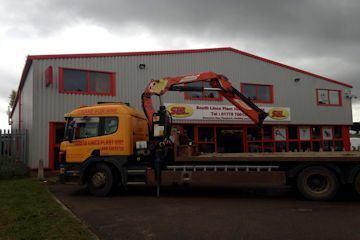 South Lincs Plant Hire offer a convenient delivery/collection service on our equipment if required,at very competitive prices. Please contact us for more information.